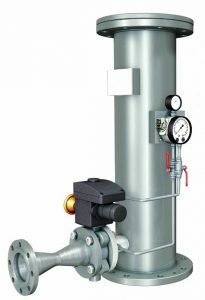 Official distributor of Dango & Dienenthal (http://www.dds-filter.com/en/) in France, Nexson Group supplies self cleaning filters for industrial fluids with or without skids integration. 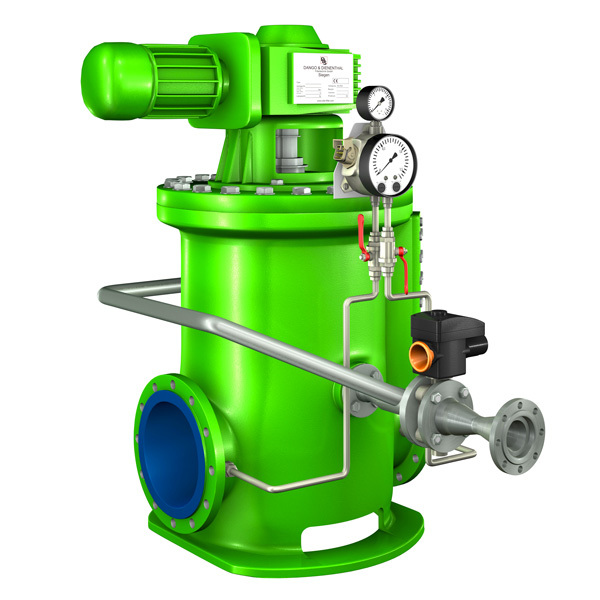 This automatic filter is extremely robust and designed with an excellent backflushing performance. 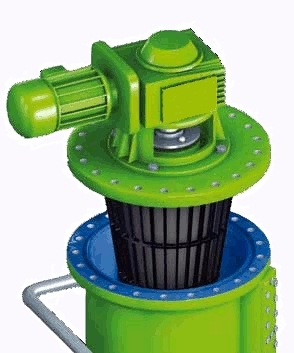 The complete filter area is cleaned by a rotating filter drum. The raw water enters the filter through the raw water inlet and disperses in the housing. 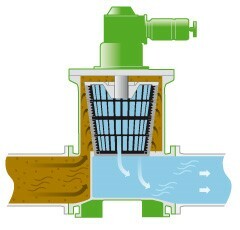 Then, flows upwards in the housing and penetrates the filter basket from outside to inside. The filter drum rotates with approximately 5 rpm. The impurities contained in the raw water are then retained on the outside of the filter. The cleaned water leaves the filter through the clean water outlet. 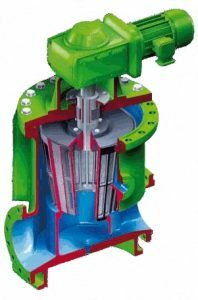 Official distributor of Dango & Dienenthal (http://www.dds-filter.com) in France,Nexson supplies inline filters for continious filtration with back flushing. This filter is specially designed without moving parts. External diameter is very similar to the existing piping diameter ! Raw water enters on the left, leaves the filter cleaned on the right. Retained solids accumulate inside the cartridge. 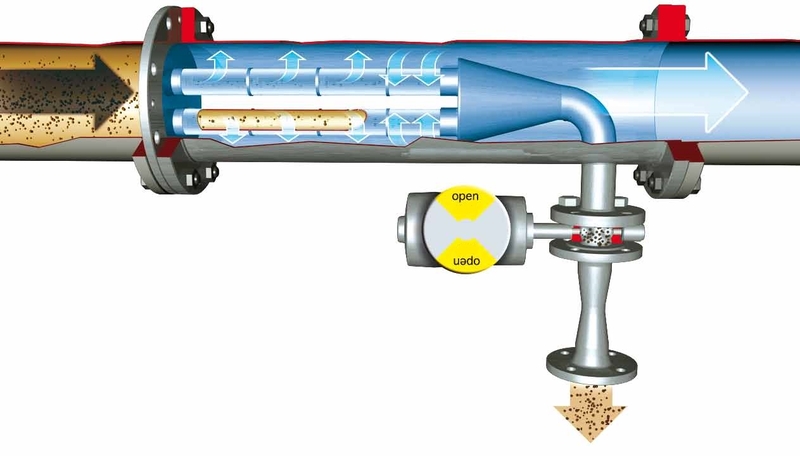 The filter basket is cleaned by opening the flushing valve without filtration process interruption.